Do you like to eat Junk Food? Here is list of Drawbacks of Junk Food. It does not matter how much you like to eat fried or outside food as it affects your health. If you have pain below your abdomen after eating it then you should stop eating it immediately as they are high in fiber. It increases your waist size. If you cannot stop eating it then at least you should eat in moderation. It increases acidity in the stomach. Heart Burn: Many problem come from fried food which is a fairly common problem of heart burn. You may have burning at the bottom of the chest which we call heart burn. It has been a common problem then the symptoms of reflux. It is better you avoid eating junk food. Gastroenteritis: Stomach or bowel irritation is called as gastroenteritis. The problem arises due to inflammation in the lining of the stomach. Symptoms include indigestion, stomach gas, vomiting, fatigue, weight loss, loss of appetite and belching. Gas occurs due to eating fried food and you feel your stomach is full. Ulcer: Lining on the digestive system is called as ulcer. It occurs due to wound in the stomach or intestines due to the excess of the acid. This disease is not healing soon so you should eating junk food. Indigestion: It is not a serious disease of stomach but it is often in public. This problem occurs when you eat food which is high in fiber. The stomach acid occurs and you feel your stomach is heavy. So if you are eating fried food then you should chew it slowly so it digests in the stomach easily and you do not have indigestion problem. Baked food instead of Junk food: You may have gastritis problem due to junk food. 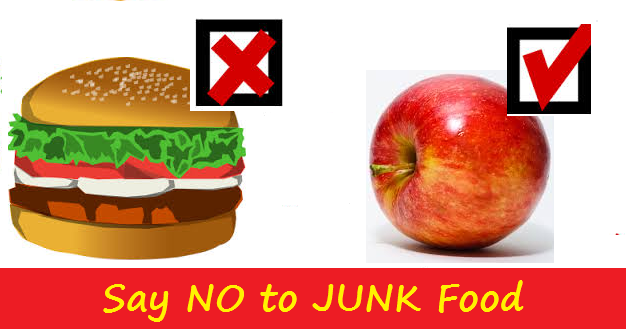 To avoid this problem you should not include junk food in your diet. You can intake baked, grill or boiled food instead of junk food. If the pain still remains in your stomach then you should consult your doctor immediately. Food: You should include vegetables such as spinach and broccoli, boiled beans, whole grains and yogurt in your diet.